NEA Big Read Lakeshore – The Big Read is a program of the National Endowment for the Arts in partnership with Arts Midwest. | Hope College NEA Big Read Lakeshore – The Big Read is a program of the National Endowment for the Arts in partnership with Arts Midwest. “I repent nothing.” This is a phrase that is repeated constantly by Miranda in Station Eleven by Emily St. John Mandel. She uses it as her shield against the world. She says this whenever she feels she is doubting herself, so in other words, she says is constantly. In a way it is a good way to look at things. It is good not to regret things, like choosing a career path that you love and your friend doesn’t or picking out that ice cream that you really like but your sibling doesn’t. You need to follow your heart and work towards it like nothing before. For example, I tried Dungeons and Dragons for the first time at one of the Big Read events. I don’t regret that, it was really fun and I made some new friends. Of course I know some people I told about that event were not ecstatic and told me to go to a different event with them. But I thought it would be fun and I was not about to make a decision based on their opinion. You should always live life the way you see fit as long as you are not hurting anyone(especially if the epidemic is going to happen!). There will always be things in life that will put you down and make you feel like you should give up. But if it is something you are passionate about, work for it and don’t give up. Contributed by Ellie Dykema, a 9th grade student at West Ottawa High School. The answer to this question is, in one sense, simple when one reads Station Eleven. Children, even ones growing up in a world ravaged by a pandemic and its resultant chaos, will eventually grow up and inherit the world they are left. They will inherit the land itself and whatever resources they can glean from it; they will inherit cherished tokens and names from their family. Perhaps most importantly, though, they will inherit a collective memory of the world and people that came before them. “Memory is foundational to our identities,” Dr. Christiana Salah said in the opening of her discussion of The Giver, this year’s middle-grade novel, on Wednesday evening in Howard Miller Public Library. Memory serves as a mirror through which we see and construct the image and narrative we present; it is how we come to know ourselves. Memory has another purpose, too. It is closely tied to our emotions; it allows us to feel. When Dr. Salah asked the audience to name something which seemed good about the community depicted in the story (where nobody except The Giver has any memory of a world different than the one in which they live), one young reader murmured, “there’s no pain.” The community of The Giver is made up of children who weren’t told of all they had lost, and while, as the reader correctly said, they feel no pain, the loss of collective memory, of emotion and identity, seems almost more grievous. Dr. Salah pointed this out and ended her talk by sharing that Lowry wrote The Giver “for all the children to whom we entrust the future,” and that the novel holds a powerful message for them. It says that willful ignorance is not a solution, and that anybody, at any age, can have an impact on the world. When we take this message and look back to Station Eleven, the question shifts from “what happens to the children?” to “what do we pass on to the children?” Throughout the novel, we see two different answers. Either leave them this collective memory and tell them what has been lost, or don’t. The reader hears of children who don’t know that the world was ever different from the way they know it; they don’t know that cars used to run, that swimming pools used to be filled with water, that credit cards were used daily. For some, the memory of the old world, the world that was lost, is unknown, because someone else deemed it too painful to remember. Station Eleven acts as a reminder, too, that memory takes form in stories. Clark’s Museum of Civilization begins the process of bringing forward and preserving the recollection of the old world, making sure that the past is not rendered obsolete. But the objects showcased are just that: objects. Without the stories and experiences behind them, anchoring them to the present, they are meaningless. It is talking about the past, sharing anecdotes and narratives, that keeps the memory alive. When I first heard these two lectures, I thought I was in a unique position as a twenty-one-year-old college student; I thought it was something special that I could count myself both as a child to whom the world is entrusted and an adult who bears some of the responsibility of passing that world along. But after a day of reflection, I realized that is not the case: I share this position with every other person in this world. How often do we speak of children, of what they will grow up with, what we must give them? We forget that we do not inherit the world or the future in one instance, or with one experience, but we receive it gradually and continuously with every story we collect, every memory we hear. What is more, we do our part to pass it on from the day we learn to speak, as we tell our own stories and share our experiences with others. We are all, in a sense, the children to whom the future is entrusted, and we hand part of it off each and every day. 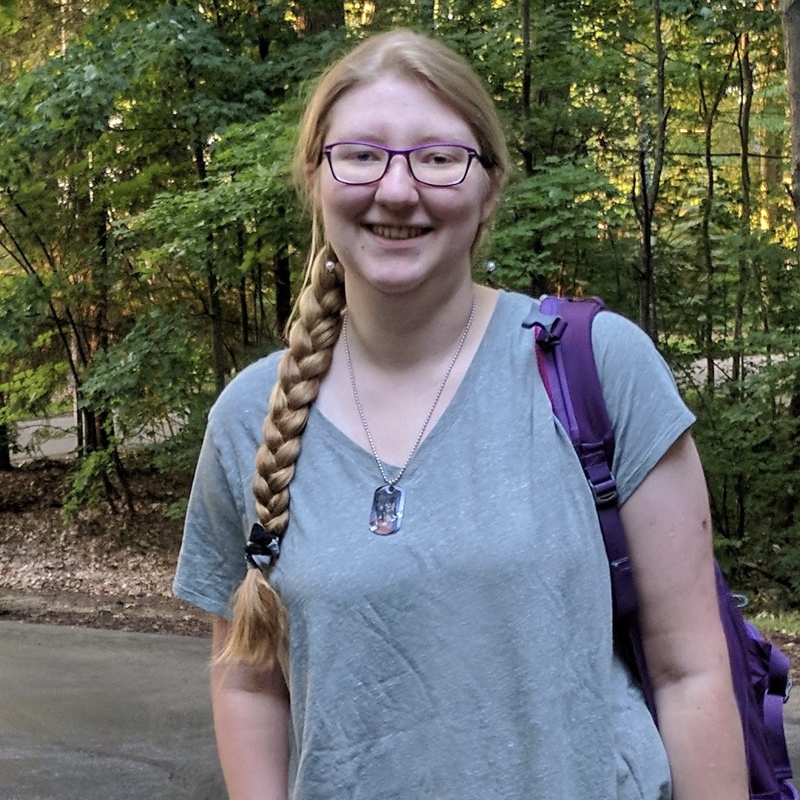 Annika is a senior at Hope College, studying English and Spanish, and this year’s NEA Big Read Lakeshore student intern. When not at the library or talking about Harry Potter, you can find her at a local coffee shop or the nearest Big Read event. The morning of November 1st was cold and brisk on Hope College’s campus; remnants of Halloween still hung about porches and windows while students bundled in winter jackets drifted down sidewalks. Inside the Kruizenga Art Museum, a small group of readers had gathered in a cozy conference room located immediately behind the front desk. 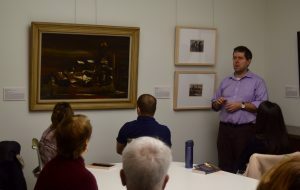 They were there for a gallery talk by Charles Mason, the museum curator, and a book discussion led by Dr. Tatevik Gyulamiryan, a professor of Spanish literature at Hope College. Mr. Mason began the gallery talk by pointing to the framed paintings which lined the perimeter of the conference room; they represented a variety of styles, movements, and artists, but all had one thing in common: they all prominently featured ruins. As he described the different pieces and the links between them, he talked of the catharsis that art offers; viewing it can allow us an opportunity to acknowledge or release emotions we may not have previously understood, while creating it allows us to rework those emotions and give them physical form. He pointed to some of the painters featured on the walls and detailed how they had turned to art as a means to make sense of their own emotions, to represent them physically and share them with others. Charles Mason, director and curator of the Kruizenga Art Museum, points to different pieces depicting ruins and speaks on the representation of a broken world in art. In the book discussion which immediately followed, Dr. Gyulamiryan brought up the role of art in the novel. She noted that Shakespeare features prominently, and is often held up as the pinnacle of art. Yet, she noted, the mantra often repeated throughout the novel, “survival is insufficient,” comes not from Shakespeare, but an episode of Star Trek. She posed the question, what are we, as readers, to make of this? In the conversation that followed, the readers seemed to agree that the appreciation of art of all kinds was a central concern to the novel, and that Mandel uses art as a way to highlight the importance of human connection. To me, it seems that the treatment of art within Station Eleven is critical to the message of the novel and, even more, its selection as this year’s Big Read book. Mandel lauds Shakespeare’s plays, but she also celebrates the value and power of Station Eleven, the fictional graphic novels created by Miranda. These graphic novels are cathartic for their author; just as Mr. Mason pointed out in the painters, Miranda finds reprieve in the act of creation, and the representation of her own experiences and sentiments is a way for her to come to terms with the past and become a more complete version of herself. Yet the particular power of art which the novel celebrates is not the power associated with its creation or consumption; it is the power of sharing art. The Traveling Symphony’s goal is not simply to read Shakespeare plays or perform them for one another; it is to share them with audiences who may not have heard of or seen them before. The power of the graphic novels does not come from the means or reason of their creation; it comes from the effect they have on the characters who possess them. While only two copies of the work exist, Kirsten has one of them. As she travels from town to town twenty years after the pandemic, she continually searches for others. The overriding feeling which the graphic novels inspire in her is a deep longing for another person with whom she can share them. The novel suggests that the value we ascribe to works is arbitrary; in this world, the words of Shakespeare and Star Trek are given equal importance; two copies of a graphic novel created by a woman seeking to understand her own life prove central to the development of the story and its characters. Art, in all its forms, can wring emotion from us, offer hope for the future, and bring us into connection with others; art reaches its full potential to change and challenge us, move us and build us, when it brings us community. It is the sharing of art, then, the connection it can bring, that holds value, more so than the piece itself. And here the novel answers for us a question which sometimes floats in the background of Big Read book discussions and events: what is the point? Why do we gather in conference rooms on cold mornings with people we do not know in order to discuss a novel we might not have read of our own accord? In short: because we need to. We need stories, but more than that we need to share them. Dr. Gyulamiryan remarked during the discussion that what makes human beings distinct from other animals is the fact we pass information to one another through stories. Those tales become our connection. While the Big Read encourages individuals to read, and selects wonderful texts that are delightful to read independently, the value and meaning of the program is found in discussions such as this one. To actively share the experience of processing a story, to discuss our thoughts and our emotional responses, to relay personal experience and viewpoints, all of this works to fulfill that desire to find others who have been moved by the same work and can share it with us. “Survival is insufficient,” Mandel reminds us repeatedly, but perhaps it can also be said that when it comes to art, creation and consumption alone are insufficient. Art lives while it is shared. We live while we share it with one another. Over the last four years, The Big Read has changed the Lakeshore community and all who have participated in it. We have grown as a community and as individuals through this shared experience. Together, with Harper Lee we witnessed Tom Robinson’s court case in 1930s Alabama; with Tim O’Brien, we fought a long and oftentimes heartless war in Vietnam; with Edwidge Danticat we traveled to Haiti and glimpsed the grueling, sometimes cruel, process of United States immigration; last year, with Julie Otsuka, we saw the pain and turmoil of the Japanese internment camps. This year, we go not back in time, but forward. Together we will see what our own home looks like after a global catastrophe shatters civilization as we know it, and observe a broken world begin to put itself back together. In the upcoming month we will learn and discuss the science behind pandemics, the role of art in our lives, and what it means, precisely, to be part of a community. We hope that the learning and discussion will not be confined to any one event, group, location, or time. As we celebrate the start of another Big Read and welcome you to the 2018 program, we also extend to everyone an invitation. We invite you to read the novel Station Eleven, whether it be for the first time or the fifth, along with our middle-grade novel The Giver by Lois Lowry, and our Little Read selection Blackout by John Rocco. We invite you to reflect, individually or with others, on the meaning these books hold. We invite you to join us, to become another voice at discussions and another integral member of this community. And finally we invite you to speak, to keep the conversation going with friends, family, and neighbors, even after the events have finished and the program ended. As our program has expanded geographically and thematically over the last few years, we are also expanding digitally. I would like to take a moment to invite everybody to share your experiences and ideas on your preferred digital platform, and be sure to tag @NEABigReadLakeshore or else to use the hashtag #bigreadlakeshore and become part of our digital network. The steady drizzle and chilling wind of the day had mostly died down by seven o’clock on Wednesday evening, but the cold temperatures persisted, compelling attendants of “Claiming America: Questions of Belonging” to shuffle quickly inside Zeeland’s Howard Miller library. We grabbed our complimentary coffee and settled into our seats, eager to learn more about the history surrounding When the Emperor Was Divine. Dr. Kimberly McKee was at the podium, prepared with extensive research on the Asian immigrant’s experience in the United States. Her research dated back to the 19th century, when the first Asians traveled to America as temporary workers. “They never intended to stay”, said McKee, referring to the waves of sojourners attracted by the Gold Rush and the building of the Trans-Atlantic Railroad. However, they found that they could do quite well for themselves here in the United States. Experiencing a prosperity they hadn’t known in their native countries, they decided to settle here. But their success gained them some adversaries; many Americans sought to take back via legislation the jobs that their new neighbors were getting. The Gentleman’s Agreement of 1907 was one such ordinance, intended to discourage Asian immigrants from claiming the U.S. as their home. McKee cited more examples of the discrimination faced by Asian-Americans, including political cartoons from the 20th century that portrayed Japanese-Americans in an unfair and hysterical manner. Much of what she presented to us was information I had never heard before, which served to prove another of McKee’s points: why hasn’t the racism faced by Asian-Americans been more talked about? One of the biggest takeaways from Wednesday’s lecture came afterwards, during the Q & A portion. An audience member asked: Were the internment camps really that bad? Was the public’s idea about the Japanese during World War II completely unfounded? Wasn’t there reason to be afraid of kamikaze and Japanese spies? Her questions were hard ones, causing everyone in the room to examine their conscience and consider their own subjectivity on the matter. Were we trying to prove the lesser of two evils? McKee didn’t have answers for the woman and I’m not sure anyone in the audience did either. She went on to challenge us all to continue questioning ourselves and our society, citing evidence of the Asian-American stereotypes that still persist: in Snapchat filters, in movies, in children’s books. 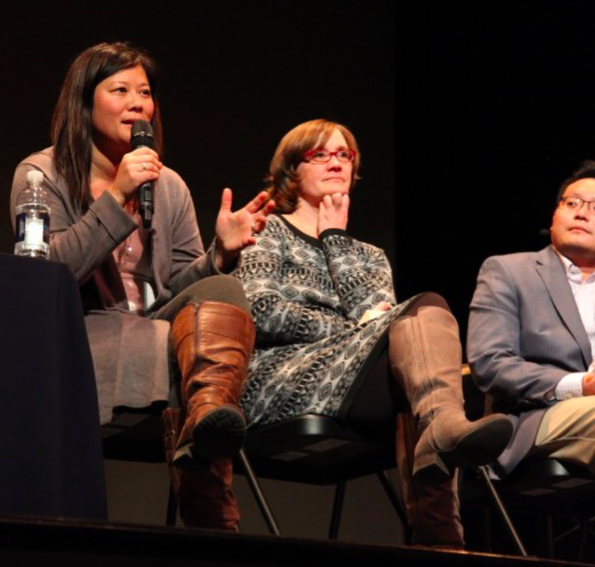 The audience was encouraged to reflect: how do these representations shape our ideas about Asian-Americans? The Big Read is valuable to our community for so many reasons, but what makes it most relevant are the conversations it starts up all over the Holland area: in classrooms, in bookstores, in coffee shops, in homes. When we read and talk with others, we can learn important lessons and discover areas of personal growth, but we can also make connections to present day situations. McKee pointed out the parallel between the anti-Japanese sentiment of WWII and the current anti-Muslim feelings in our country. As reflective and responsible citizens, we can use When the Emperor Was Divine as a jumping-off point for conversations about how to move forward as a nation in the face of terrorism and racism. 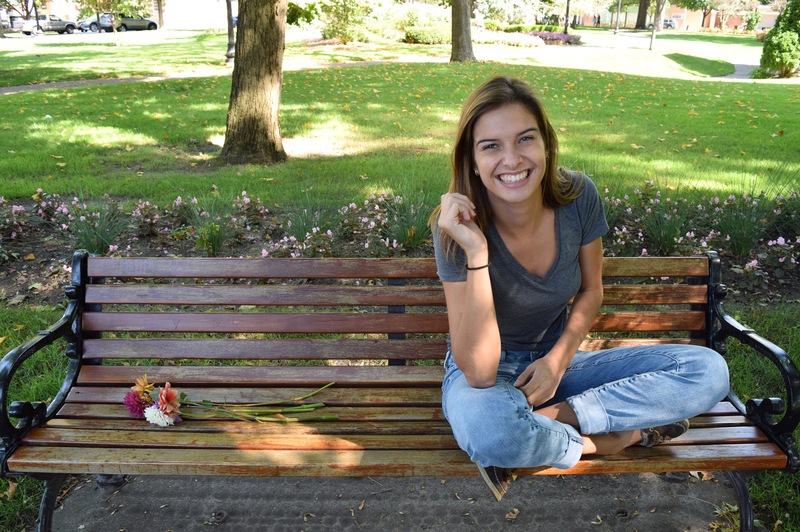 Lindsay is a junior at Hope College, studying Business with minors in English and Communication. When she’s not at her desk or on the soccer field, you can find her at a coffee shop, most likely talking about personality tests. On a very cold and dreary Saturday morning, the children’s section at Herrick District Library couldn’t have been more full of energy and warmth. 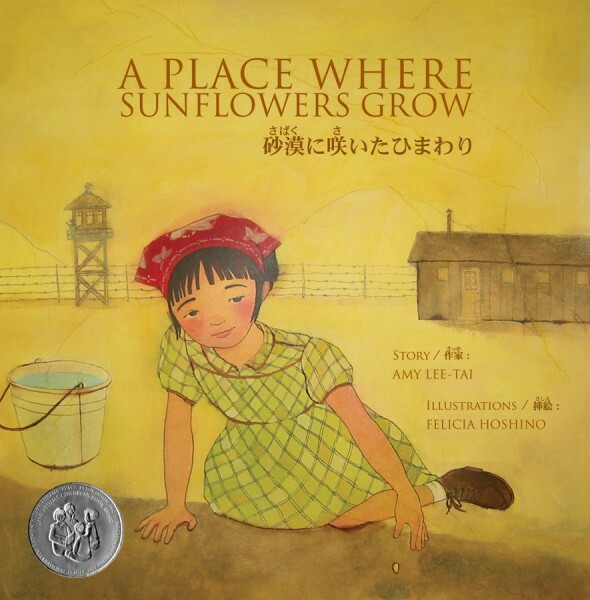 Amy Lee-Tai, author of A Place Where Sunflowers Grow, came to delight an audience of almost 100 people with her children’s book inspired by her family’s experience in a Japanese internment camp during WWII. Amy is a reading specialist turned children’s book author from New York, and it was her love of picture books and their ability to show that the world is good that made her write this one. Amy started her book reading with a small history – personal and global – of WWII and the internment camps. She showed many pictures of her family, and one that especially tugged at my heart was a picture of her grandmother and mother on evacuation day, which was the day the Japanese Americans were pulled from their homes to go the camps. Lee-Tai explained to the children present that the internment camps were much different than the summer camps that they are familiar to. She concluded her history with this question: “What do you love to do?” This idea plays an important role in her book. Then, the reading started. 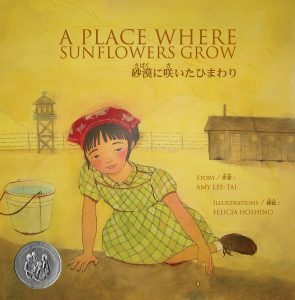 The book A Place Where Sunflowers Grow is about Mari and her family, a Japanese-American family, who are forced to live at a camp in Utah. Mari is enrolled in an art class, but she can’t figure out what to draw. Her teacher gives her the advice to draw what she loves, and suddenly, Mari finds life at the camp just a bit more bearable. She makes friends and draws about her life, and she realizes that doing what you love – in her case is drawing – turns a bad situation into something better. This was unlike any other book reading I had been to – the pictures were projected onto the screen so that the audience had a great view. All of the people who came, ranging from preschoolers to adults, were captured by the powerful message that came from this children’s book. The advice that Mari gets carries strongly into the real world, and it is something that we all can use to see the beauty in everything. Lee-Tai concluded her reading with a message of hope: do what you love, and you will make the world a better place. Contributed by Emma Jones. Emma is a student at Hope College. ‘Community’ is a word that easily came to mind on Tuesday afternoon in the Martha Miller Center first floor rotunda. The crisp November wind was just sharp enough to make the walls feel like a reprieve, and the sun poked through windows to illuminate eager participants. Seventy people filled the room, with Hope College faculty and students lining the perimeter and Holland-area community members occupying the small round tables scattered in the middle. The circular room and cozy seating arrangement acted as an invitation for participants to interact as well as listen. Conversation bubbled and bounced along the tables until the moment Dr. Doshi of Hope’s Communication department stood, wielding a microphone. The lecture, sponsored by Hope’s Communication department, featured Dr. David Myers, Amy Otis-DeGrau and Rev. Dr. Denise Kingdom-Grier discussing their personal connections with the Japanese internment during World War II and this year’s Big Read novel When the Emperor was Divine. The purpose of the event was to discuss and reflect on one of the essential questions posed by the novel: who is my neighbor? Dr. Myers opened with the story of a place close to his heart: Bainbridge Island, Washington, where his parents lived early in their marriage and where some of his family still resides. The island community, he noted, was something of an anomaly during the internment period; the close-knit community consisted of several figures who openly spoke out against the internment order and, contrary to what is depicted in Otsuka’s novel, took measures to ensure that interned citizens were welcomed home with their abandoned lives still intact. Most notably, the island’s newspaper, run by Walt and Millie Woodward, was the only West Coast newspaper to object to the internment order. As his story of an island’s resilience and warm-heartedness came to a close, Dr. Myers left the audience with a final thought: nidoto nai yoni. Let it not happen again. Amy Otis-DeGrau, the next speaker, told of her own family’s experience during the internment. A third-generation Japanese-American, her grandparents, four aunts and uncles, and one-year-old mother were all incarcerated. She shared the story of her family’s lost money, property, history and dignity. She also discussed the famed 442nd infantry regiment, comprised almost entirely of Japanese-American soldiers and one of the most decorated regiments of World War II. While she mentioned the irony of these men fighting on behalf of a country that rejected them, Otis-DeGrau emphasized the fact that many men of the 442nd regiment acted as voices of justice during their time training in Jim Crow-era Arkansas; several accounts survive of 442nd regiment men being punished for speaking out over injustices suffered by African Americans. From there, Otis-DeGrau shared several biblical passages citing the importance of justice in the Christian faith. Scripture, she reminded the audience, is full of calls for justice; anyone identifying as a Christian is called by Scripture to work toward justice. And one cannot work toward justice silently. Silence, Otis-DeGrau said, comes in many forms. One of the forms, with which she is very familiar, is the phrase “shikata ga nai,” meaning it cannot be helped. It was the phrase which met many of her early questions about the war and her family’s imprisonment, a phrase which communicates the lack of agency experienced by Japanese-Americans during this period in American history. But silence also takes other forms; it is the lack of conversation surrounding the controversial internment, the cursory glance with which this dehumanization and injustice is given, the unchallenged paranoia and prejudice that ran rampant in the newspapers and radio stations, the lack of dialogue even now about the trauma. We are all connected, Otis-DeGrau claimed, and the point of connection is in our stories. For that reason, she said, it is extraordinarily important to share these stories of inequity. If they are the bonds which hold us together, it is crucial to give them a voice, to give power to those connections, and to use them in our fight for justice. The final speaker, Denise Kingdom-Grier, discussed justice and the idea of ‘otherness’ in the Bible. 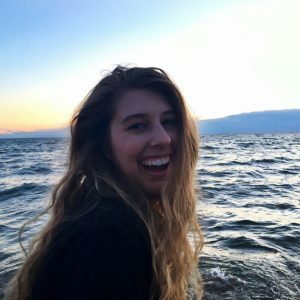 Drawing on her experience researching apartheid in South Africa and several biblical stories as she picked up the thread of what it means to be just, she used the well-known story of the Good Samaritan to illustrate what it means to be not only just, but to be a neighbor. The two, she suggested, are closely tied. Kingdom-Grier posited that to be a neighbor is to enter into another person’s story without expecting to receive any benefit from it. Instead of seeing someone suffering and backing away, as the priest and Levite do in the story of the Good Samaritan, it means reaching out, taking initiative, taking an active role in a narrative that is not our own. But that is not all, she said. Using the story of Jesus and the Samaritan woman at the well, she suggested that to be a neighbor also means to give somebody an opportunity to help us and meet our needs; it means to be vulnerable. Potentially, it means allowing conflict to arise so as to come to an understanding. These three speakers, with their different professional, ethnic, and faith backgrounds offered a diverse but cohesive view of the role neighbors play in our lives, and what it means to be a neighbor. For Dr. Myers, neighborliness abounded on Bainbridge Island as the community raised its voice in solidarity with their incarcerated neighbors and worked to uphold their ties to the community even in their absence. For Amy Otis-DeGrau, the great enemy of neighborhood is silence; the way to reinforce its bonds is sharing stories and speaking out. For Rev. Dr. Kingdom-Grier, to be a neighbor is to allow vulnerability, to enter into another’s story and engage. For all three, though, one thing was noticeably absent; in none of their discussions of neighborhood did they mention physical proximity, ethnicity, gender, sexual orientation, or any other identifiers which are typically used to connect people to a particular community. There were no caveats to the term ‘neighbor’ such as “Christian neighbor,” “Muslim neighbor,” “LGBTQ+ neighbor.” None of their stories included people who were inherently neighbors by virtue of their social status, ethnicity, or physical location. To all of them, neighborliness is an action; to be a neighbor is to be a person of action. With that in mind, the question “who is my neighbor?” seems to be almost inappropriate; the lecture and novel together seem to suggest that instead of attempting to identify and evaluate others, maybe we ought to look inwards and identify ourselves. If we are looking outside ourselves for neighbors perhaps we’ve missed the point of the novel, the lecture, and scripture. In the very act of asking whether or not someone is a neighbor to us, we shy away from neighborhood; we hesitate to enter into another’s story, we stay silent in our equivocation, we mark them as separate from our established community. In that moment of reluctance they may be a neighbor, but we are not. Annika is a junior at Hope College double majoring in Creative Writing and Spanish. When not reading, writing, or talking about Harry Potter, she can be found at the local coffee shop or the nearest Big Read event. Posted on November 9, 2017 November 9, 2017 Author Blogs AdministratorLeave a comment on Who Is My Neighbor? Hello to everyone participating in the 2017 Holland Area Big Read! I hope everyone is enjoying When the Emperor was Divine and the events that are happening around Holland! 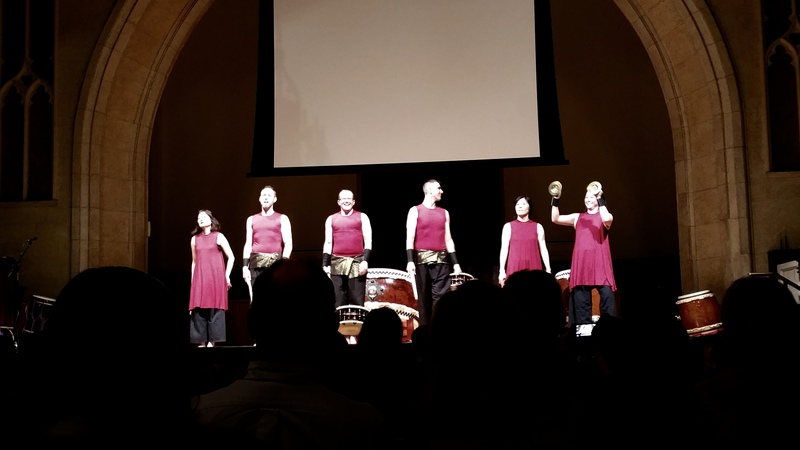 Last night’s Big Read event was the Raion Taiko Drumming Performance at Dimnent Chapel, and the six drummers did an outstanding job! 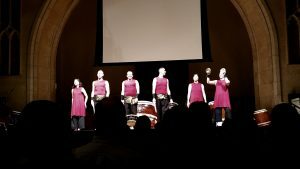 I’d never heard of taiko drumming when I first went to the event, but I was excited to go, as was the large group of others there: old, young, and families alike. The Raion Taiko drummers didn’t disappoint, helping to kick off Big Read with a bang. The drummers were very synchronized as they went through the pieces, playing with enthusiasm and extravagant movements to add to the experience. Thinking of how much time and dedication would go into memorizing the pieces and performing perfectly in sync with the other drummers amazes me. 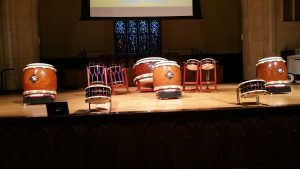 When the odaiko, their largest drum, was being played, I could feel the beat in my head and body because of the sheer volume of noise. While the other five drummers moved the drums around in preparation for the next performance at about the midway point, one of the drummers, Brian Kaga, took the microphone. He first thanked us for coming, then proceeded to give us a tiny Japanese lesson. He taught us that tamago (tah-mah-go) is Japanese for egg, and the Japanese first started eating fish before adding egg to their diets. He tried to find an exact date for when they first began eating egg, but all he could tell us was that “it was a long tamago.” Cue the laughter. “I was told not to tell that joke, so—” More laughter. All egg jokes aside, Brian told us a little about the history of taiko drumming and the drums the group used. 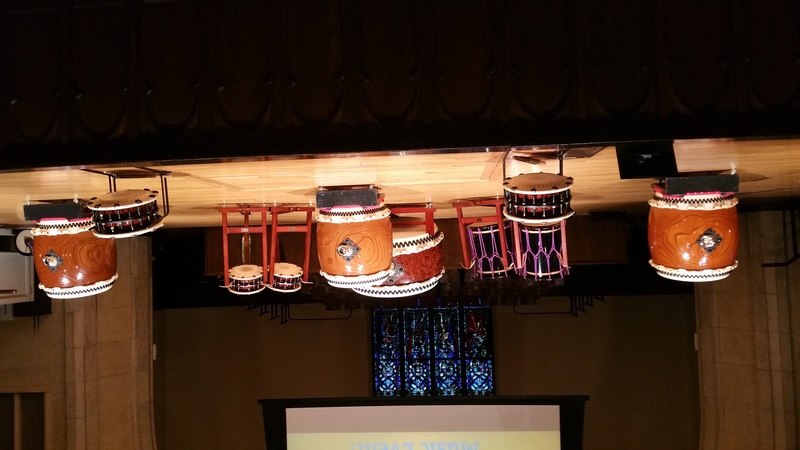 Taiko music is based on weather and nature, like thunderstorms, rain, and earthquakes, and was originally used for ceremonies or practical reasons until after World War II, when it became a form of entertainment. Their biggest is called an odaiko and is 3.5 feet in diameter, weighing 220 pounds and carved from one solid piece of tree trunk. 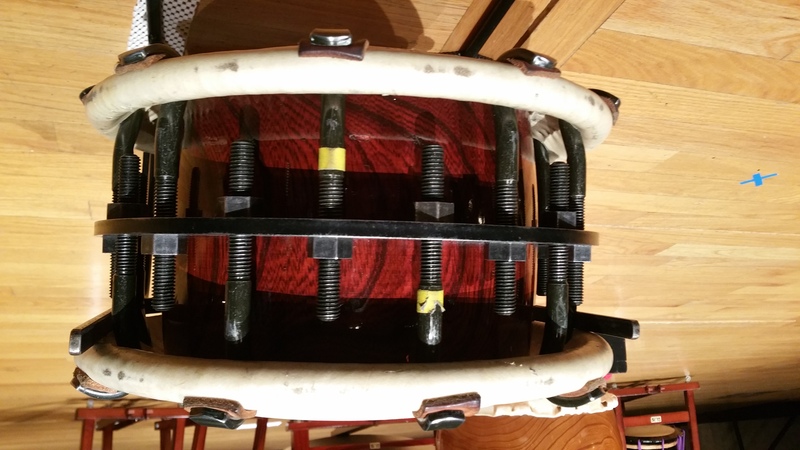 The Raion Taiko group had four different types of drums total (odaiko, okedo daiko, shime-daiko, and nagado taiko), and their smallest, called shime-daiko, had screws all around the circumference, which the audience was told is used to change the pitch and tune the drums. 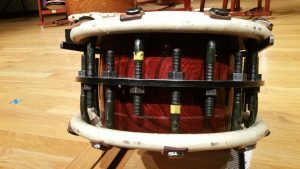 The performance wasn’t all drums, either—a shamisen (three stringed, banjo-like instrument from Japan) and a wooden flute also made appearances during the event, and occasionally, small hand cymbals and a gong were used for accents. For those who were there, I hope you enjoyed the performance as much as I did, and for those who didn’t, I hope you come to one of our other Big Read events! Contributed by Taylor Gort, a senior at Black River High School. She enjoys reading, writing while listening to music, and hanging out at the library. As I asked this simple question in my 10th grade English class at West Ottawa High School, hands shot in the air! Each year when my students read the book chosen for Holland’s Big Read, I require that they attend at least one event of their choosing. At the kick-off event this year, I saw many of my students in the audience. Yes, they were “forced” to attend, but the impact was so powerful. As students in my class shared their experience the next day, I saw how the speakers impacted my students and engaged them in a way I can’t do in my classroom alone. Some students’ favorite part was learning about the history of the Japanese Empire, or about America’s role in WWII, or the personal account of a Japanese-American’s family story. In class the next day, they initiated conversations about choices the speakers made about what to share at the event and how they connected their knowledge and experience to the book we are reading together. They showed me extensive notes they took during the talks that I never asked them to take. They shared in an experience together to explore aspects of a novel we are reading for class. For school! This is why I do the Big Read. As the programming during the month of November continues, I will keep asking my students to share their experiences at events to make connections with When the Emperor Was Divine. These conversations will help deepen their understanding of the book and of the community around them. 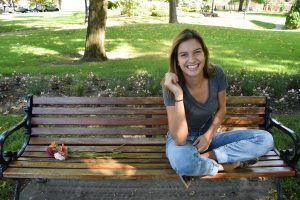 Attending these events will help broaden their understanding of the novel as a whole, but also show them that reading does not only happen in school. At events, they will see community members who are choosing to attend because reading matters to them. As a teacher who sees more and more students who dislike to read, this opportunity is important. I want my students to read a book with me and learn about the human condition, but I also want them to see that school is not the only place this happens. Stories matter, and the events my students attend help them see that stories matter outside of their English teacher’s classroom. This is why I do the Big Read. When students leave my class, I want them to be better readers, writers, speakers, and listeners, but I also want them to be better thinkers. Better participants in their community. Better activists for what they’re passionate about. I want my students to be ready for college and for a career, but I also want them to be ready for life. The conversations we have together in class about When the Emperor Was Divine and the experiences my students have out in their community make this program the most valuable thing I do all year. We will talk about the events and our experience until summer break. My students will ask, “When can we do something like THAT again?” And even if I cannot offer them this opportunity all year long, offering it for a few weeks in November is important to me and will become important to them. This is why I do the Big Read. Contributed by Audra Bolhuis. Audra is a English Language Arts teacher at West Ottawa High School. This Wednesday was the official kickoff for the 2017 Big Read. The book this year is When the Emperor was Divine, a heartbreaking and endearing story about a family that is forced to live in a Japanese internment camp during WWII. The novel, written by Julie Otsuka, explains the story of her family history and the history of so many Japanese Americans during this time. The kickoff, held at the Knickerbocker Theater in Downtown Holland, featured three speakers from the Hope College community. The first speaker, Dr. Wayne Tan, started his lecture by telling the stories of Mr. Kobayashi, a textile merchant, and Mrs. Aihara, a farmer’s wife. Both seem like insignificant people, but their stories are part of the rise and demise of the Japanese empire. The rest of his lecture focused on the emperor and the mythology surrounding him. The second speaker was Dr. Jeanne Petit. Her discussion centered on the historical insights of the novel. She specifically focused on the Japanese migration and how the Johnson-Reed Act of 1924 made the immigration problems worse for the Japanese Americans. The final speaker was Amy Otis-DeGrau, a third generation Japanese American citizen whose family was placed in an internment camp 75 years ago. She talked about the powers of silence, knowledge, and voice, and how it is our responsibility to make sure that these don’t get overlooked. Her personal story was so impactful and heartbreaking that the heavy emotion could be felt throughout the entire theater. The biggest takeaway from tonight’s kickoff was learning how important When the Emperor was Divine is to read in the current state of the world. It can teach us to have empathy for others and learn about a part of history that is often just a paragraph in a textbook. There is so much about the Japanese internment camps that were created during WWII that we don’t even know about, but this book will bring that to light. The kickoff event was filled with not only students, but Holland community members as well, all eager to listen and learn. This is one of the best things about the Big Read is that it brings people of all ages and backgrounds together, and it helps us learn not only from the book, but from each other as well. This kickoff event showed how eager the community is to begin this month of learning! 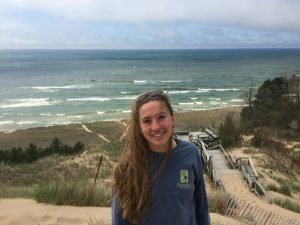 Lauren is a senior at Hope College, majoring in English Literature with a minor in communications. When she’s not in class she can be found at any sporting event, walking around a bookstore, or sipping a peppermint mocha latte.